If you haven't checked out Sanrio Japan's online store, then here are the highlights that you might be interested in. 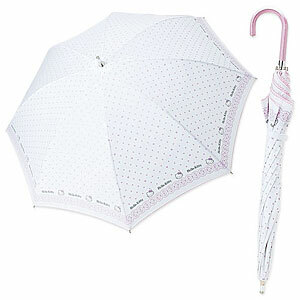 Available right now is their white pretty Hello Kitty Umbrella. Looks almost elegant from my viewpoint. I admit that I love almost everything with the color white. This design works for me. 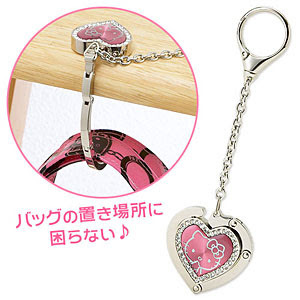 This next piece is a beautiful purse/handbag holder that acts like a keychain, but attaches to your purse like shown below. 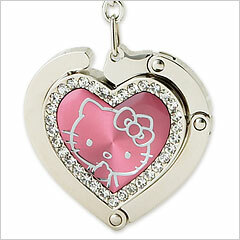 I love the colors and it doesn't hurt that there's diamonds on it as well. 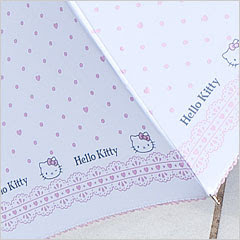 Japan Sanrio has revealed another new 2010 Hello Kitty design, which looks to have a plaid background look. 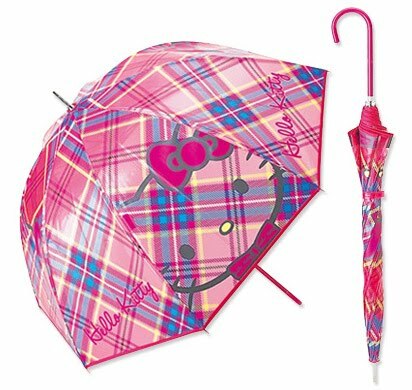 Highlight of the series: Another cute Hello Kitty umbrella. If you're in a very good mood and it's raining outside, this umbrella's design will surely brighten the world with some sparkle of cuteness.